​No. 28 Pringles are Hyperbolic paraboloids! 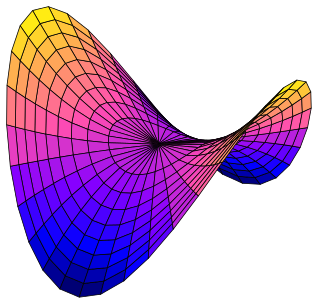 Pringles are hyperbolic paraboloids! Costco samples! In the interest of math enthusiasm, I had to sample them several times. Showing great restraint I stopped sampling long enough to snap some pictures.! The illustration is from wikipedia commons, by Nicoguaro. Below is a video on how to fold the shape also an article and directions on how to fold a variety of paraboloids by Eric Demaine.